Something a lot of people struggle with daily is cutting ties with cigarettes. Quitting smoking for good is really difficult, especially when you're a mother dealing with a lot of stress of taking care of the kids, running your own business, and trying to make it through the day. One of my best friends decided she needed to quit smoking. She decided to stop smoking cigarettes, and started using Nicorette® Gum to help her give up smoking. One of my grandparents also smokes cigarettes daily and has found relief in Nicorette® Gum. After watching so many people in my life quit smoking with Nicorette®, I was so excited to team up with Nicorette® to talk about smoking cessation and the importance of having everyone in my life be smoke free. What a better time than this Lung Cancer Awareness Month to support all of my loved ones to get on track to a healthier life by quitting smoking! 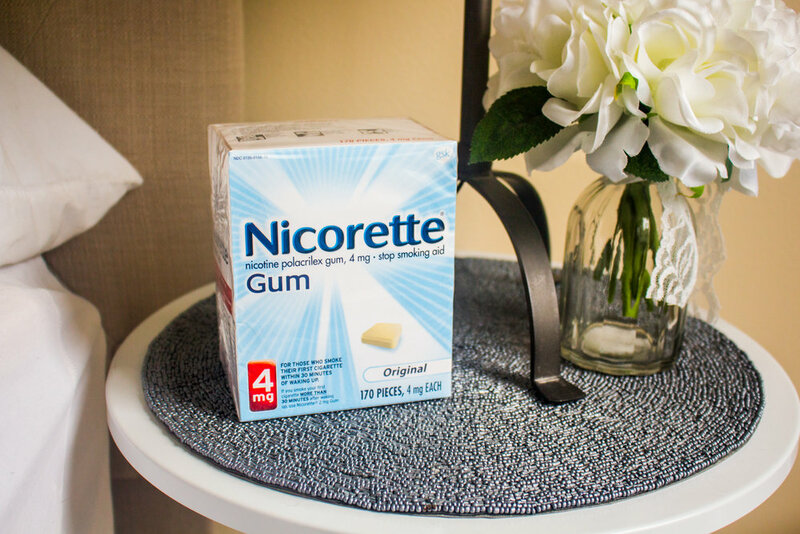 One way you can help your loved ones with cigarette addiction is by purchasing a box of Nicorette® Gum and putting the gum in places in their home that they would normally crave smoking. Some great places are their bedside (for those who tend to smoke within 30 minutes of waking up), kitchen, and powder room. Seeing the gum may help them remember to use it often and when they need it the most. It's so important that we support those in our lives that are trying to have a better lifestyle! Throughout the month of November during Lung Cancer Awareness Month, for every box of Nicorette® or NicoDerm® CQ® purchased at CVS Pharmacy, GSK Consumer Healthcare will donate $1 to the American Lung Association’s LUNG FORCE (up to $100,000). This offer will be valid from 10/29/17 – 12/2/17 ($100,000 goal, whichever comes first), so take advantage of this amazing cause by going to your local CVS Pharmacy to purchase a box of Nicorette® or NicoDerm® CQ® for yourself or someone in your life trying to give up cigarettes. Combined with behavioral support, nicotine replacement therapy can increase the chances of successfully quitting smoking, so let's all stand by our loved ones while they trying to get on track to a healthier life! Nicorette® is patented with dual-coated technology that tastes great! It really does help those with intense cravings have relief in social situations when quitting smoking.Nicorette® Gum is available in two dosage levels: 2 mg and 4 mg. 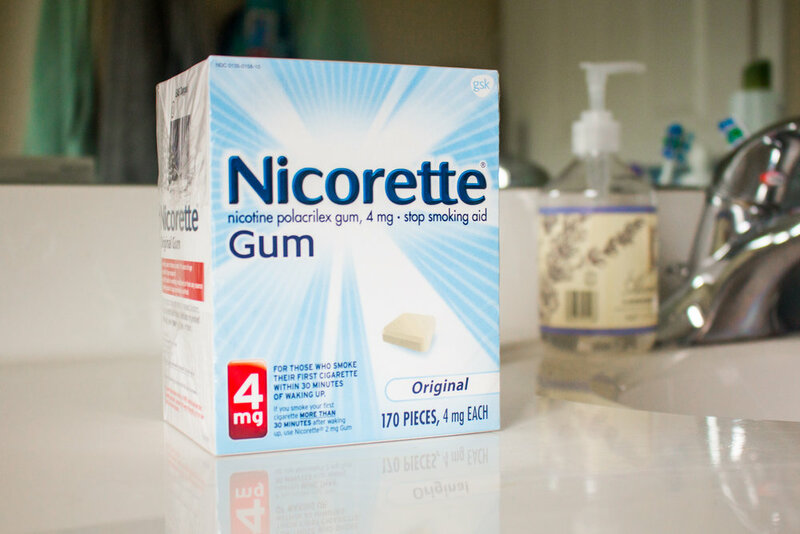 If you tend to smoke your first cigarette within 30 minutes of waking up, go with the 4mg Nicorette Gum! If you smoke your first cigarette more than 30 minutes after waking up, then the 2mg is for you. Here's how to use it! For the first six weeks, you'll take one piece every 1-2 hours. To improve your chances of success, try to aim for chewing at least 9 pieces of gum every day for the first 6 weeks. Do not use more than 24 pieces of gum per day. For weeks 7-9, you'll take one piece every 2-4 hours. From weeks 10-12, you'll take one piece every 4-8 hours. Make sure to read the label for yourself, and be sure to follow the “chew and park” instructions included on the label! This information can also be found on the brand’s website.